Try your hand at being a sportscaster! Watch a clip from a real NHL game, and record your very own announcement. 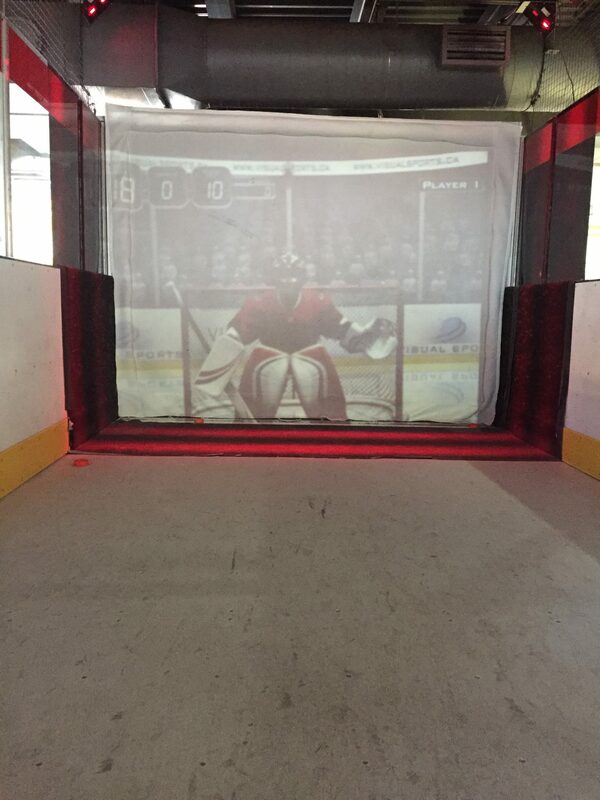 The Top Shot Electronic Hockey Net is an official-size hockey net and shooting system. There are a number of skill-testing games to choose from. Face-Off is a game involving accuracy and speed. You must shoot and hit each of the 9 panels as quickly as possible. In Rapid Fire you must hit 9 moving targets in 10 shots or under 30 seconds. 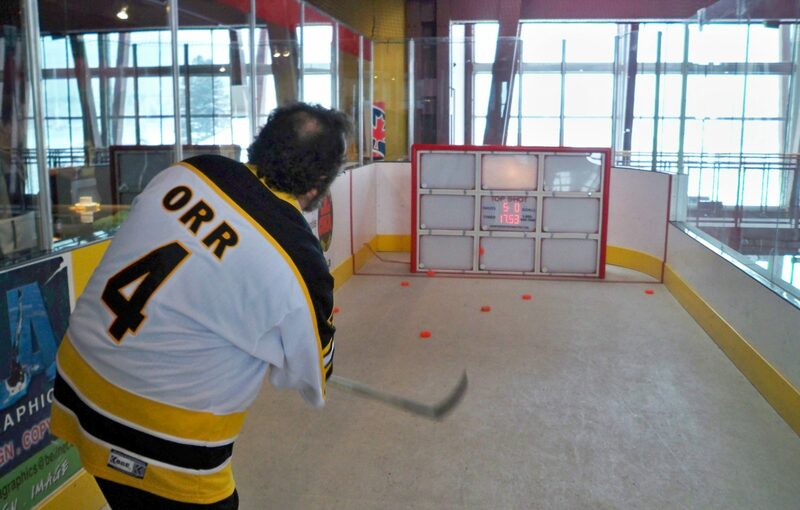 There is also the option to play a game of Tic-Tac-Toe with a friend by shooting hockey pucks at your selected target. Three targets in a row and you’re the winner! "Real Hockey" Slap Shot Game - A Virtual Hockey Game! Choose your game, wait for the whistle, and then give it your best shot! Play against a goalie, with targets or test your hardest shot. Includes different skill levels too! 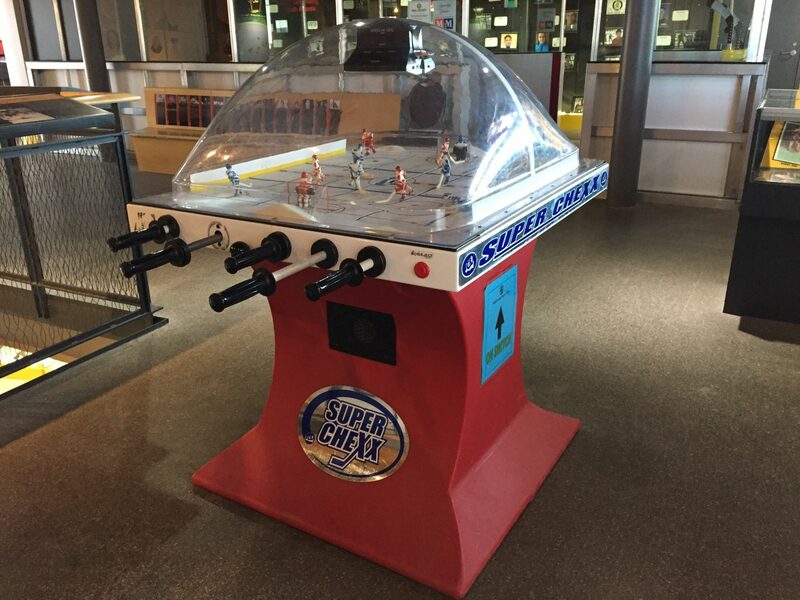 This is a modern version of a classic table hockey game. With a partner, or in teams, out-shoot your opponent to a winning victory. 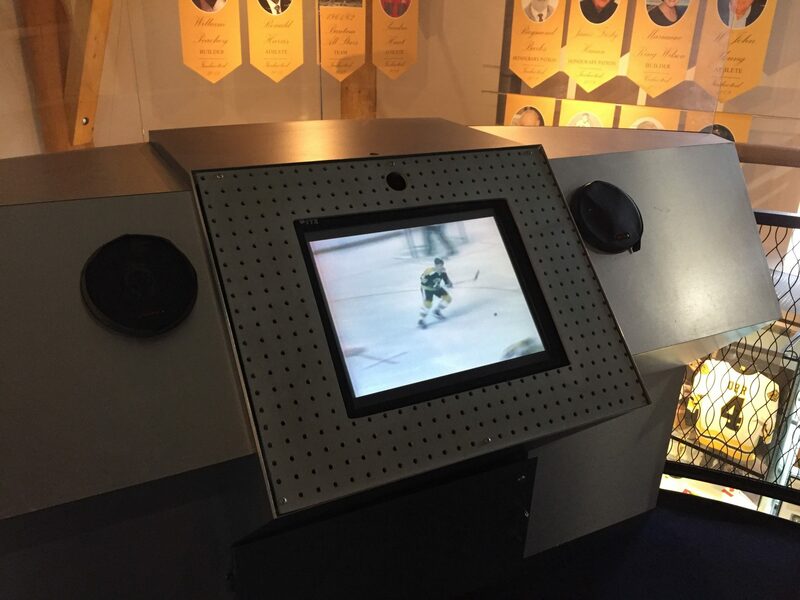 The newest addition to the Bobby Orr Hall of Fame! Grab a chair and immerse yourself in the hugely popular hockey video game, NHL15.